Staff from Association House High School participate in an activity focusing on non-verbal communication and the importance of being aware of personal space, body language, stance, tone and eye contact when working with youth. Earlier this year, ASN’s Clinical Team was invited to host a webinar on Trauma Informed Practices in the After School setting through American Institutes for Research’s Illinois Quality Afterschool initiative. The one hour webinar, which you can access by clicking the link below, discusses trauma and its impact on the brain and human development. Michael Hannan, ASN Project Director, also shares some best practices from Dr. Pedro Albizu Campos High School’s 21st Century Community Learning Center program. Feel free to have a listen and let us know if you would like to bring us out to your site for an in-person workshop. We will be available starting July 1, 2017! Click here to view the webinar! IL-ARC released a comprehensive environmental scan report looking at all of the groups, organizations, agencies and institutions throughout the state that are utilizing trauma informed practices to improve their programming. 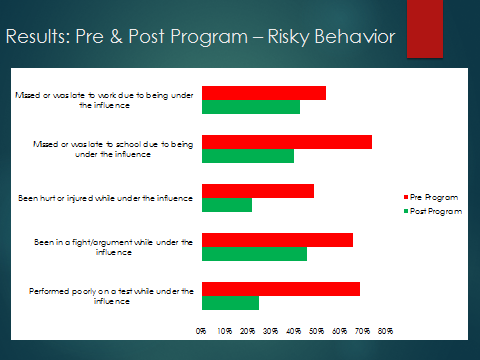 Over 300 programs were interviewed, of which ASN’s Youth Resilience Project was one, and the results of the discussions were compiled along with best practices and challenges associated with enhancing or moving towards including more trauma-informed care practices into the work being done with children, youth, families and communities. You can check out the report here. The ASN Youth Resilience Project’s article was published on Acesconnection.com last month. Acesconnection.com is the most active, influential ACEs community in the world. The website is a great way to connect with people using trauma-informed/resilience-building practices. Being a member helps us to stay current with news, research, events. It’s a great resource! Join today at www.acesconnection.com. ASN’s Clinical Team will be presenting a workshop entitled, Building Trauma Responsive Programs and Schools at the Illinois State Board of Education’s 21st Century Community Learning Centers (CCLC) 2017 Spring Conference: Enhancing Quality, Inspiring Innovation in Bloomington on May 10th. Hope to see you there! ASN & the Youth Resilience Project got an awesome shout out on Facebook and Twitter by Jim Sporleder. Jim is the former Principal of Lincoln High School, an alternative school in Walla Walla, Washington, which was the subject of the 2015 documentary film, Paper Tigers. The Alternative Schools Network (ASN) Youth Resilience Project is an initiative that grew from the collective desire to develop and provide additional clinical resources for nonprofit and alternative schools in the ASN Network. The Youth Resilience Project is dedicated to the cause of bringing knowledge, awareness, and support to schools around issues associated with youth trauma. Spreading the knowledge of trauma and its impacts on youth development became a mission of ASN’s Clinical Team after witnessing firsthand how it could help improve relationships, interventions, and overall programming among some of the hardest to reach youth in the alternative schools. During the 2015 – 2016 school year, the Alternative Schools Network received funding to develop a mentoring program working with youth, ages 17-20, in three alternative schools that would help to reduce violence among participants. 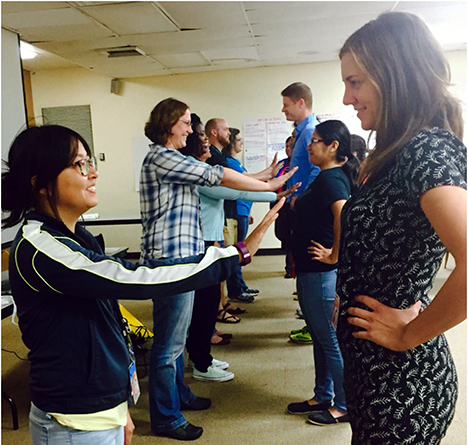 Mentors were trained in trauma-informed practices by UCAN and in Motivational Interviewing (MI) by Northeastern Illinois University. Mentors then employed these techniques in their work with their mentees throughout the 10 month program. Mentors reported that having a deeper understanding of trauma and how it impacts the developing brain and body helped them to tailor their interventions in a way that took into account the root cause of some of the pain-based behavior they were seeing in their mentees. Some of the mentors felt so empowered by the training on trauma that they shared the information back to their school administrators who were able to bring in additional trauma training for the entire school staff. Towards the end of the program year in May 2016, 45 mentees were screened by mentors on their experiences of trauma with the on-going support of UCAN’s Peace Hub pilot project utilizing the Life Experiences Profile. 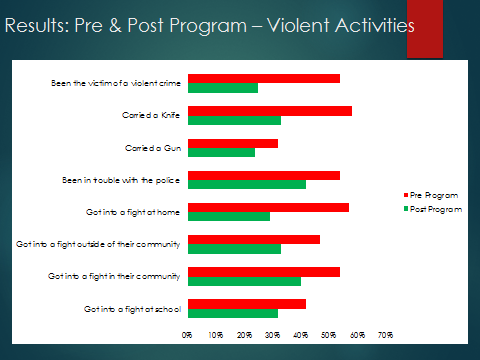 The results were, on the one hand, not surprising because youth in alternative schools have typically been through a lot of extremely challenging life events before participation in ASN programs. Still, the fact that 59.1% of participants stated that they think about their trauma experiences “all of the time” or “most of the time” was incredibly eye-opening. After seeing these numbers, even with a small sample size of two schools, ASN staff felt compelled to do something about it. The Youth Resilience Project is a response to the need to create more trauma-informed staff members and more trauma-responsive school communities. The Center for Disease Control (CDC) and Kaiser Permanente’s landmark study on Adverse Childhood Experiences (ACEs) published in 1998 revealed the different ways in which childhood neglect, abuse and family dysfunction can negatively impact people later in life. 17,000 individuals were asked about their experiences during childhood as it related to emotional abuse, physical abuse, sexual abuse, physical neglect, emotional neglect and family dysfunction (incarceration, domestic violence, mental health issues) as well as questions regarding their current health status and behaviors. The results of the study found that people who had a higher number of adverse childhood experiences (ACEs) were more likely to have negative outcomes later in life such as higher rates of high-risk behaviors, social issues, disease, disability, and early death. The study brought to light not only the prevalence of ACEs, but also the fact that the effects of ACEs cut across all people, no matter their race, gender, or socio-economic background. ACEs also disrupt brain development and lead to issues involving social, emotional, and cognitive impairment. 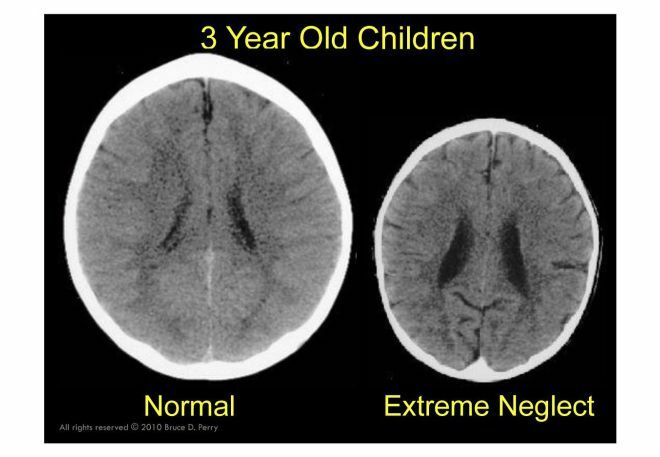 These images illustrate negative impact of neglect and trauma on the developing brain. The CT scan on the left is from a healthy 3-year-old child with an average head size. The image on the right is from a 3-year-old child following severe trauma and neglect since birth. The brain is significantly smaller than average and has abnormal development of cortical, limbic and midbrain structures. Photo from Dr. Bruce Perry, Physician and Neuroscientist at the ChildTrauma Academy in Houston, TX. Why focus on trauma in schools? By providing professional development workshops, trainings, and ongoing clinical guidance and support, the Youth Resilience Project works hand-in-hand with school leadership and staff on ways to bring about institutional change through a trauma-informed lens and corresponding interventions. The overarching belief is that a universal, trauma-informed approach to education improves the conditions for all students to learn, grow, and thrive as individuals within a safe and caring school community. 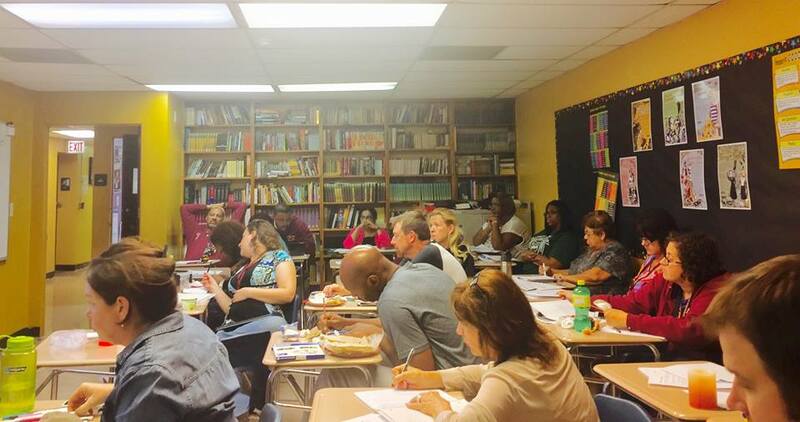 The key goals for the project are to enhance trauma awareness throughout ASN Network member schools, and to assist schools in the development of trauma-informed policies and practices that are guided by the principles of trauma-informed practice: safety, trust, collaboration, empowerment, peer support, and cultural responsiveness. The project is a three tiered approach with those schools in Tier 1 receiving the most intensive trainings as well as support with the development of a school staff-led steering committee, titled the Resilience Team, who are tasked with fostering the development of the trauma-informed approach within the school. Tier 1 schools include, Dr. Pedro Albizu Campos High School, CCA Academy, ASN Prep, and Association House High School. Tier 2 and Tier 3 schools, including Latino Youth High School, West Town Academy, Innovations High School of Arts Integration, Youth Connections Leadership Academy (YCLA), McKinley Lakeside Leadership Academy, Antonia Pantoja High School (ASPIRA of Illinois) and Olive Harvey Middle College, receive varying levels of professional development trainings depending on each school’s needs. As of March 2017, 114 hours of training have been provided to 606 participants at 14 participating network schools and at several community-based youth-serving organizations throughout Chicago and the state of Illinois. The feedback from the schools and staff has been consistently positive. "Sometimes a student's presentation makes adults take a step back. Trauma and crisis intervention training aid staff in seeing through a student's fear, frustration, and anger to find the hope, potential, and possibilities underneath. These trainings have helped me to reconnect to, and to love students even when they are pushing everyone away. After all, it is love that facilitates growth through one's hurt and pain." said Dr. Myra Sampson, Chief Education Officer (CEO) at CCA Academy. Dr. Genessa Schultz, Academic Dean at CCA Academy, had this to say regarding her experience with the Youth Resilience Project: "Becoming trauma-informed has really helped me to step back and evaluate how I interact with students. I believe that numerous situations have been avoided because as a staff we are looking at the underlying issues with which students are dealing on a daily basis. Rather than reacting to the behavior being displayed, we are able to calm students down and work with the real issue that is causing the behavior." 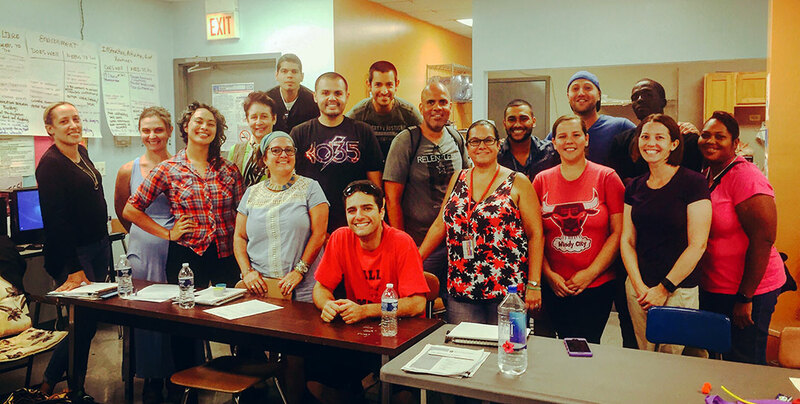 Staff members at Dr. Pedro Albizu Campos High School smile and pose after completing the 17-hour training provided by the ASN Clinical Team in August, 2016. Youth Scholars, Skills and Service (YS3) mentor, Jemina Lyle of Association House High School shared her thoughts on being a part of the process to become a trauma-informed school. She stated that "having done the trauma informed practice trainings in the past really helped me in my work with my students because I was able to readily be more sensitive to their needs and understand their behavior a little easier. But I'm one person, and while there were already staff members on board with being trauma informed, it helps to have an entire staff trauma informed so that we are all giving our students the same message, one of tolerance and understanding. I believe as a staff we need to be more mindful of our word choice, our own attitudes and traumas and of the reality of our students. I know being trauma informed can and will really make a difference in our students' lives because, hopefully, it changes us! Josh Cohen, a teacher at ASN Preparatory Institute, said this about his experience in a 17 hour Youth Resilience Project training on trauma-informed interventions for youth in crisis: "The workshop addressed many techniques we already use on a daily basis, but was most helpful because it provides a comprehensive strategy and vocabulary that makes utilizing these techniques more effective." With the training and support that staff members receive through ASN's Youth Resilience Project we hope to create more safe spaces for healing in our schools so that learning, growth, and positive change can continue to transform lives and communities in deep, meaningful, and sustainable ways. Stay tuned for more updates from us on the evolution of this exciting new project. Should you have any questions, or want to learn more, feel free to reach out to the ASN Clinical Team at .